Research conducted at Victoria University of Wellington and the Malaghan Institute of Medical Research has suggested a potential new way of treating glioblastoma, an aggressive form of brain cancer. Nicole Jones, who graduates next week with her Ph.D., played a significant role in the work, which was led by Dr. Melanie McConnell of the University's School of Biological Sciences. Nicole's research suggests that suppressing a gene called BCL6 could help treat glioblastoma. Past research has shown BCL6 plays a significant role in many cancers, suppressing cancer cells and preventing them from growing, but newer research suggested BCL6 might play a different role in glioblastoma, Nicole says. Her Ph.D. research aimed to investigate what role BCL6 played in glioblastoma. "Throughout my Ph.D. I completed extensive tests on the role of BCL6 in glioblastoma," Nicole says. "My results seem to show that BCL6 has the opposite effect in glioblastoma cells than in other cancers. In glioblastoma, BCL6 seems to activate cancer cells and encourage them to grow. It also seems to connect to a very different part of the genome in glioblastoma than in other cancers." If BCL6 is responsible for activating glioblastoma cancer cells, suppressing the function of BCL6 could provide a possible new avenue for treating this cancer, Nicole says. "The research team measured the effect that current BCL6-suppressing drugs have on glioblastoma cells, and the results were promising," Nicole says. "These drugs, in combination with chemotherapy, do seem to kill off glioblastoma cells. If further tests support these results this would be an amazing leap forward for this field, because there has been very little change in treatment for people diagnosed with this terrible disease in the past 30 years." Dr. McConnell's research group will continue work in this area, confirming Nicole's findings and looking at why BCL6 seems to have this effect on glioblastoma and how this effect might lead to new treatments. Nicole's goal was always to attend Victoria University of Wellington and study at the Malaghan Institute of Medical Research to help create cancer therapies. She first worked with Dr. McConnell in her honours year before going on to Ph.D. study. "I always wanted to pursue cancer research, as I have had multiple family members affected by cancer," Nicole says. 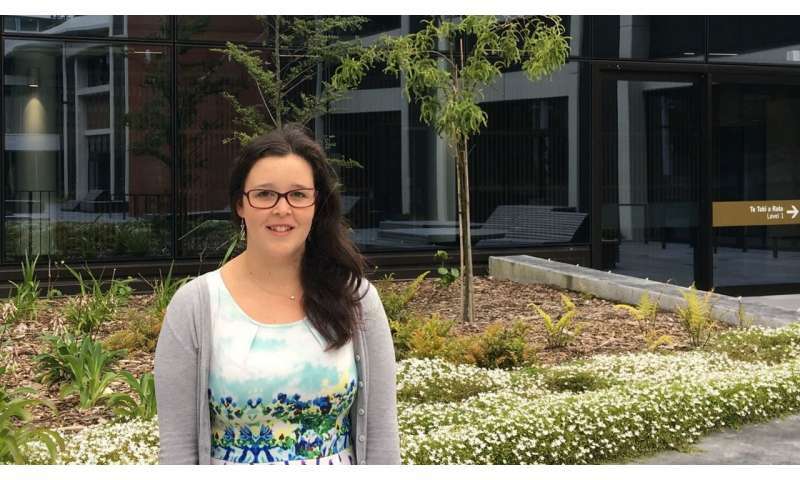 "During my honours study I began work on glioblastoma, and luckily all the funding stars aligned and I could continue this project during my Ph.D. I hope to continue work on new cancer therapies throughout my career."